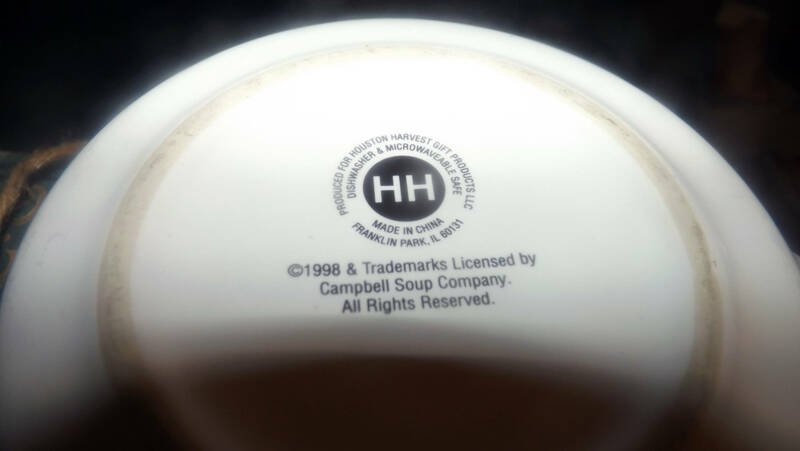 Vintage (1998) Campbells Tomato Soup branded large ceramic mug made by Houston Harvest. In EXCELLENT! and seemingly unused condition, there is the WEE-est! 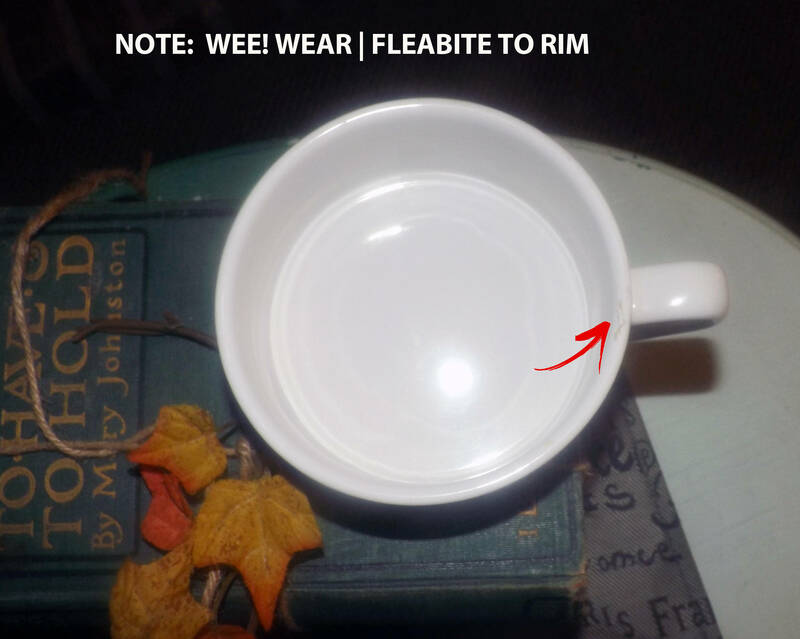 bit of rub | fleabite to the rim and a couple of small scuff marks to the handle (please review each of the posted photos for a complete visual of the item). 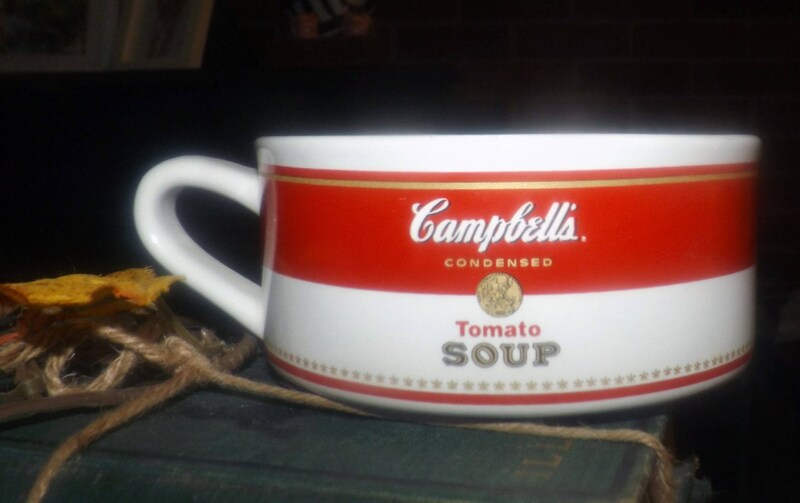 It is likely this mug was likely used as a kitchen display item rather than for serving soup or beverages. Otherwise, there are NO! other chips, nicks, or fleabites, NO! cracks, NO! crazing and NO! 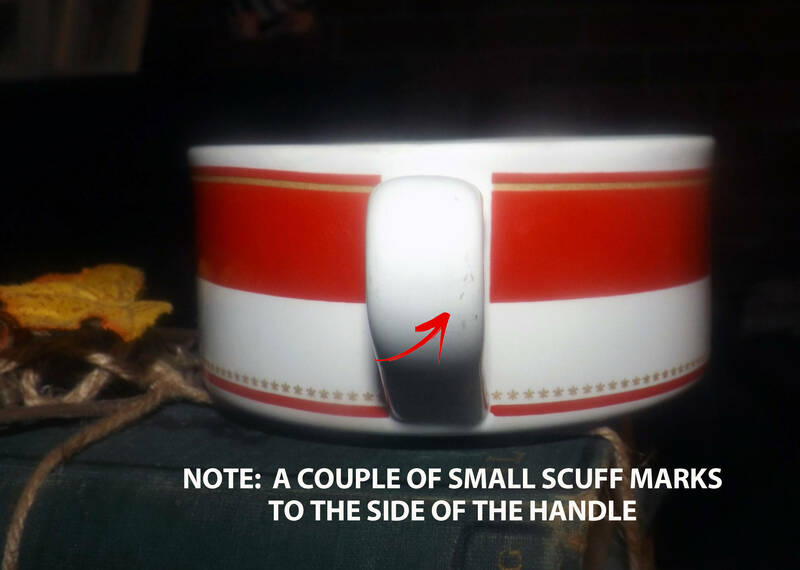 other marks, stains, or scratches. 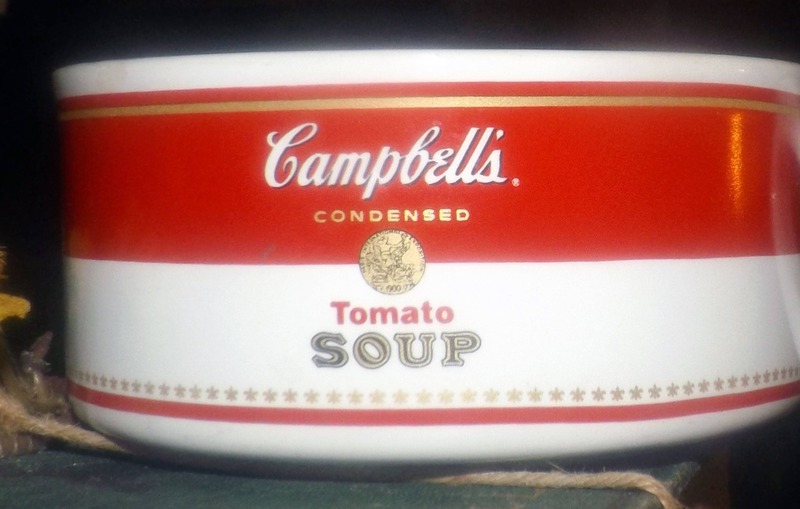 The inside bowl of the mug is clean as a whistle and the Campbells branding is all clear, vivid and legible with NO! fading or wear apparent. 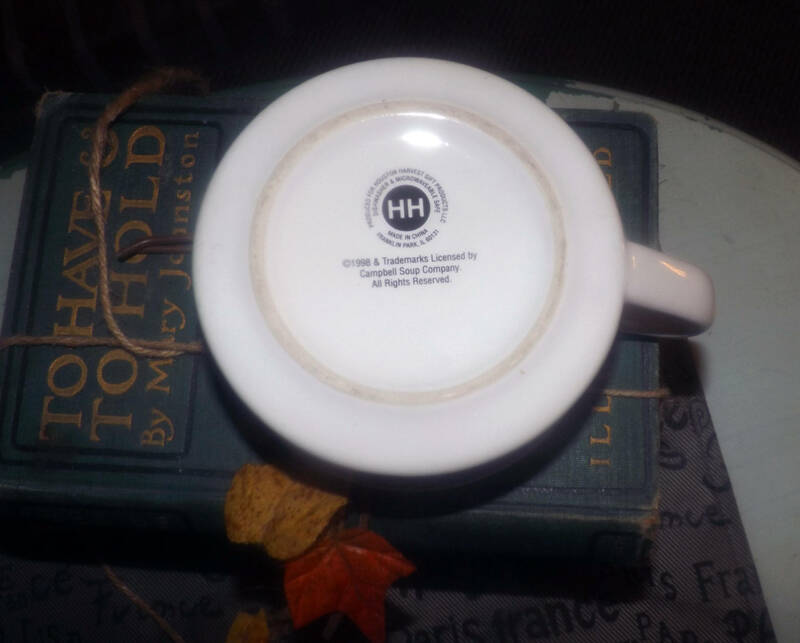 Imagery on the mug is under the glaze, making this piece both dishwasher and microwave friendly. 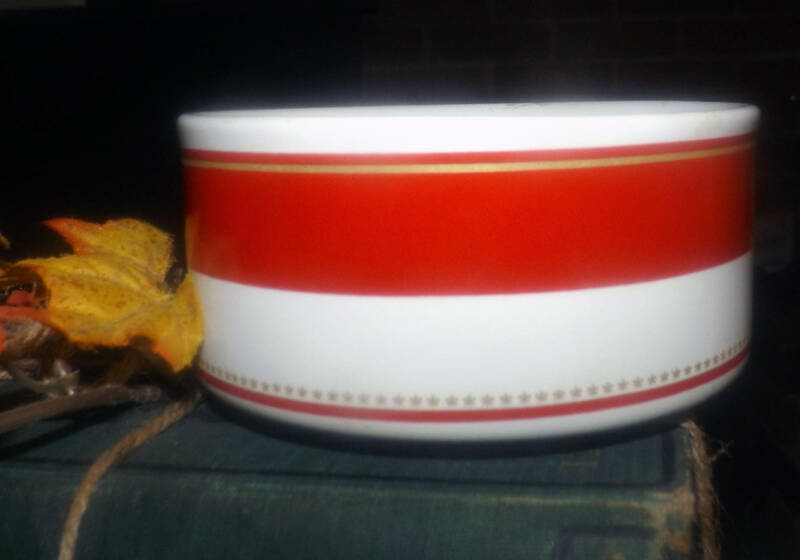 Approximate measurements: stands 2-1/4" with a 4-1/4" diameter bowl | capacity estimated at 8 US fluid ounces.